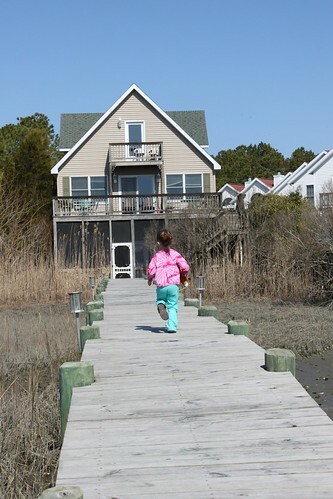 If you ask Lillian about her favorite part of our recent Chincoteague Island vacation, she'll tell you it was staying at the house. Specifically, she loved the Bayfront House dock. Alex and I loved it too. Overlooking the piney marsh between Chincoteague and Assateague Islands, we viewed wild ponies, shore birds, and the lighthouse from the lighted dock, the abundant windows, and spacious raised deck. During low tide, Alex hunted for mussels and oysters from the dock. He unsuccessfully tossed out a crab pot and would have tried fishing if we had poles. A screened in porch at land level includes a useful outdoor shower to clean off the marsh romping muck. Inside, the Eagle's View Bayfront House boasts four bedrooms, three and a half baths. The kitchen, dining area, and family room are all connected in an open floor plan. A widow's walk to a small third story balcony overhangs the family and dining area. All the amenities a family would need, including air conditioning, washer and dryer, flat screen TV, board games, and outside shower, are included. Beds were comfy. Extra blankets and pillows ensure that every guest can be comfortable. As is custom for all island rentals, we provided our own linens. A mere one mile bike or car ride to the Assateague bridge, Eagle's View Bayfront House is ideally located for vacationers. The town of Chincoteague, including a one screen theater, shops, and restaurants, is less than a mile in the other direction. Longer drives can get you to NASA's Wallop Flight Facility and Assateague National Seashore. The owners of the Bayfront House, available by phone (540-687-6923) or email, are a wealth of information about the best things to do in and around the Eastern Shore of Virginia/Maryland. 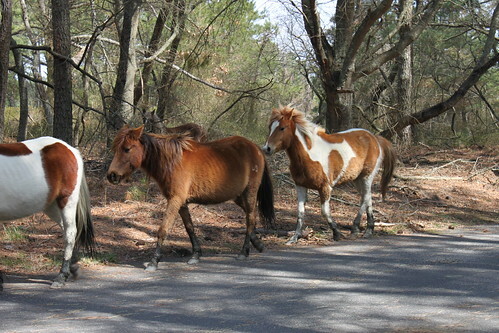 As popularized by Marguerite Henry's Misty of Chincoteague, the summertime Pony Penning season is busiest for the Bayfront Home. The owner reported to me that they only have a few weeks available for the 2010 summer season. Many weeks are still open in the off season between Labor Day and Memorial Day. We can attest that the house is delightful and secluded in early spring, as I imagine it must be in autumn. 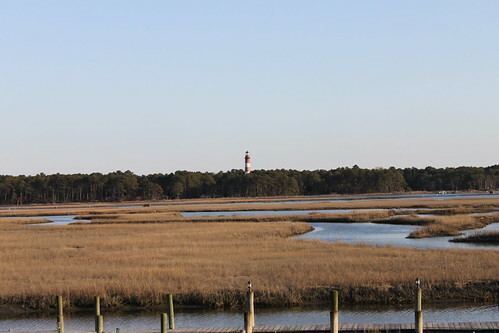 Pictures around the home show the beauty of Chincoteague that can be found in all seasons. The only downside of this house was that the kitchen was a little tight. 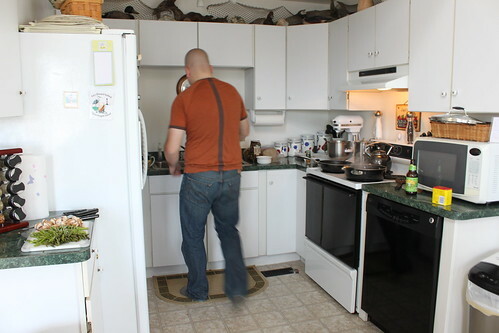 A simple rearrangement of moving the fridge and replacing it with a butcher block would go a long way towards expanding the usefulness of the cooking space. During warmer times, the large grill would allow for spacious outdoor cooking. During our three day stay we barely scraped the surface of fun things to do around the island. The house rents for $2300/week during the summer and $1762/week between Labor Day and Memorial Day. Shorter stays (minimum three nights) are accepted in the off season. Reservations can be made by calling the owners at 540-687-6923. Disclosure: We received a negotiated lower rate in exchange for writing this review and establishing their Facebook page.